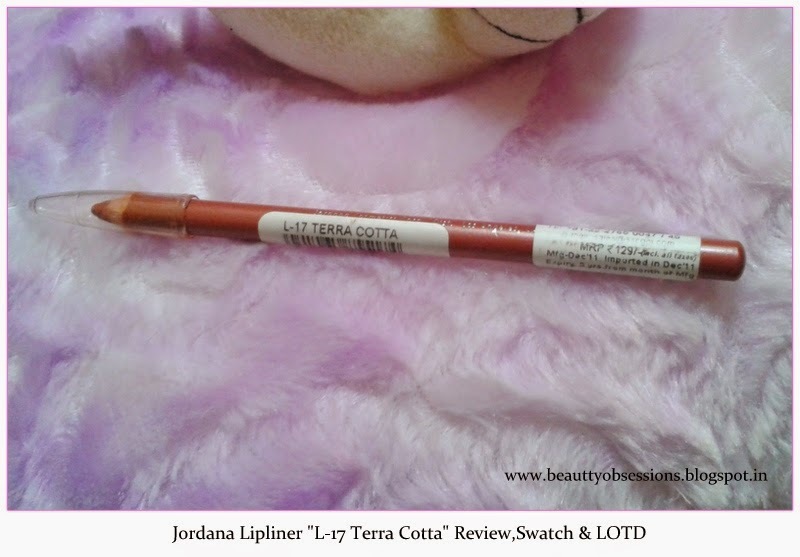 My today's review is on a very affordable and good quality lip liner from brand Jordana and the shade is Terracotta . This one is a perfect liner for daily as well as office use. I came across this product through online and decided to buy . 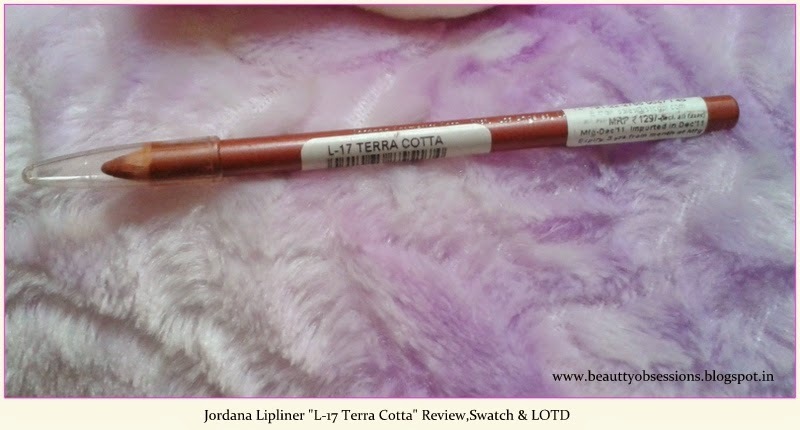 It is my first jordana product and trust me Jordana has some very decent and affordable makeup products. Any way move to know this liner in details..
My View: Honestly I love the shade and the texture of the lip liner. At this price it is just superb.. The pencil is like other lip pencils and has no shapener with it to sharpen. The shade is like bricky-red with some orange-ish undertone. 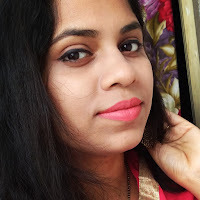 The texture is really very smooth and creamy and very easy to glide on lips. This shade matches properly with all red , light orange and some pink shade lipsticks . If you want to cover the whole lip with it then it looks beautiful . It gives very nice matte finish look . One single swipe may not give the opaque finish but two swipes definitely brings the actual color. 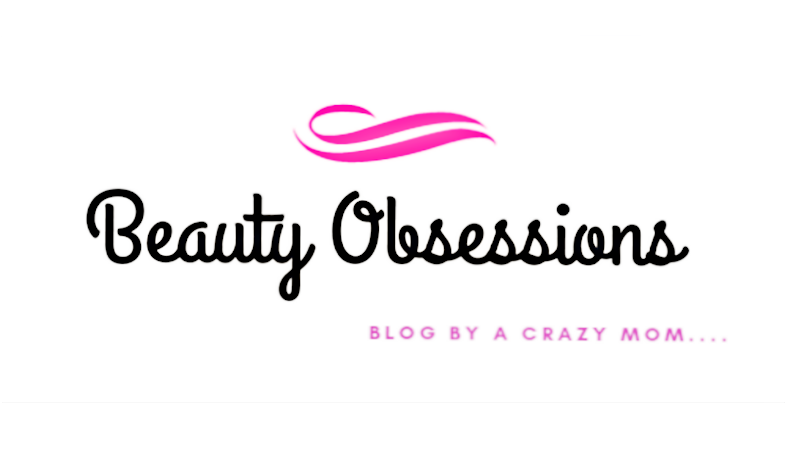 It works nicely on pigmented lips also. 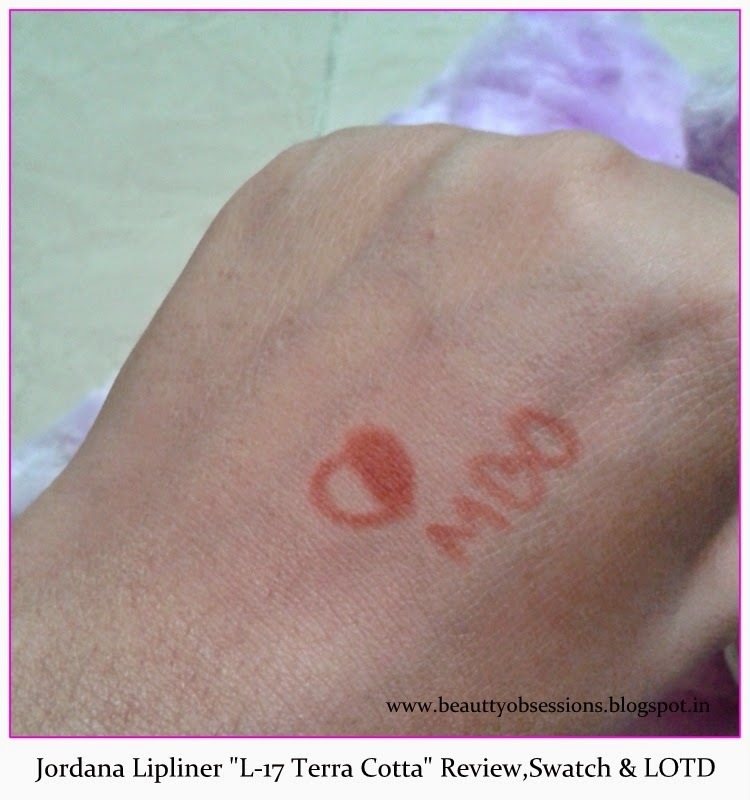 The shade is perfect for regular use /office use. The staying capacity is nearly equal to 2-3hours on my lips. I sometimes apply a transparent lipgloss to add some shine and keep it for longer period of time. wastage of product during shapening. 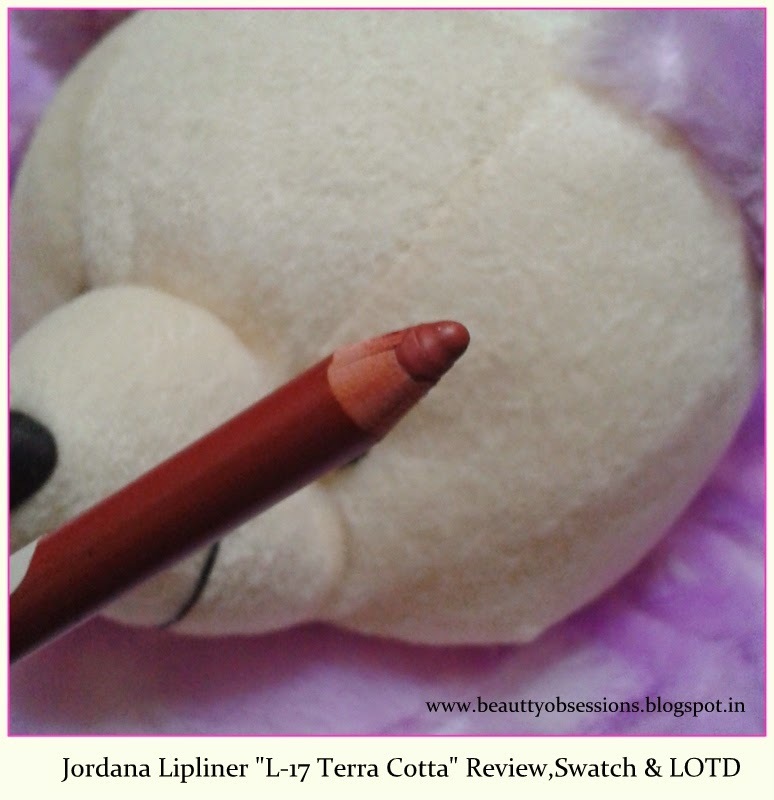 Have you tried any Jordana Lip liner pencil..?? ?